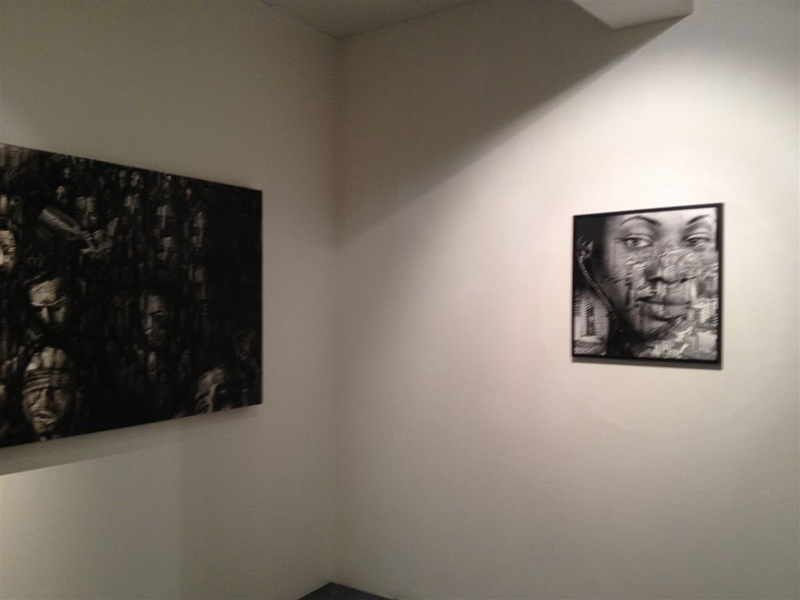 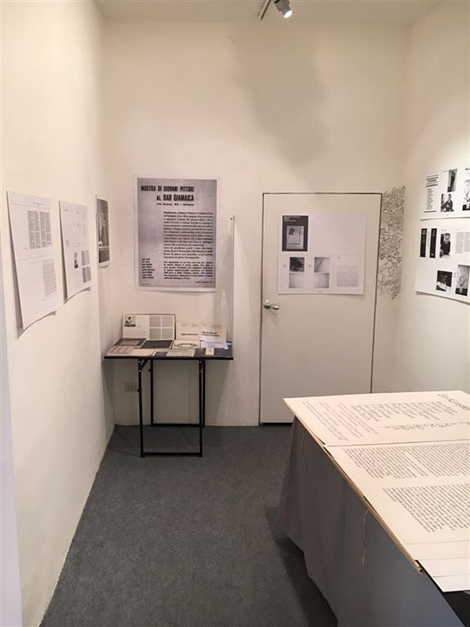 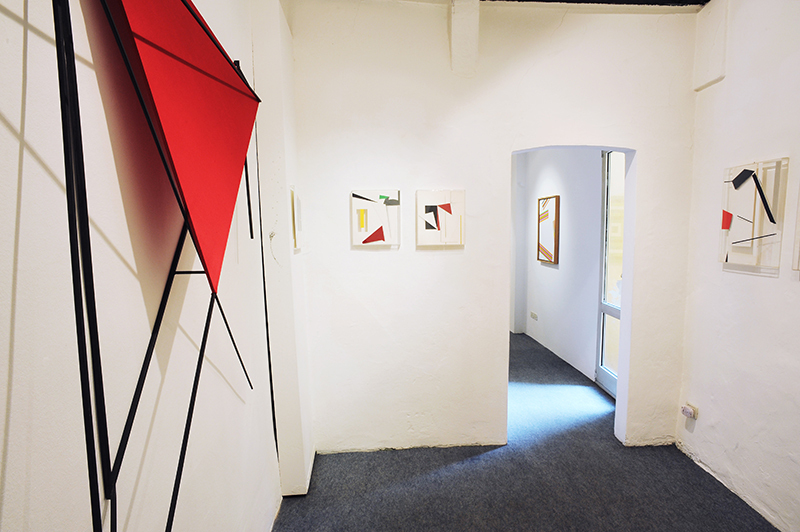 The Gallery SPACE TESTONI in Via D'Azeglio 50 a Bologna, Saturday 18 March 2017, from 18,00 all 20,30, inaugurates the first exhibition in Bologna Paolo Ghilardi (Bagnatica 1930 – Bergamo 2014). 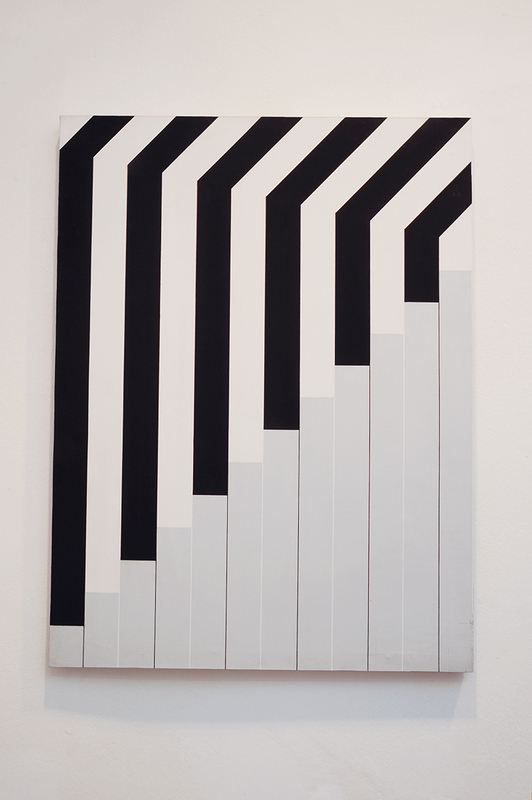 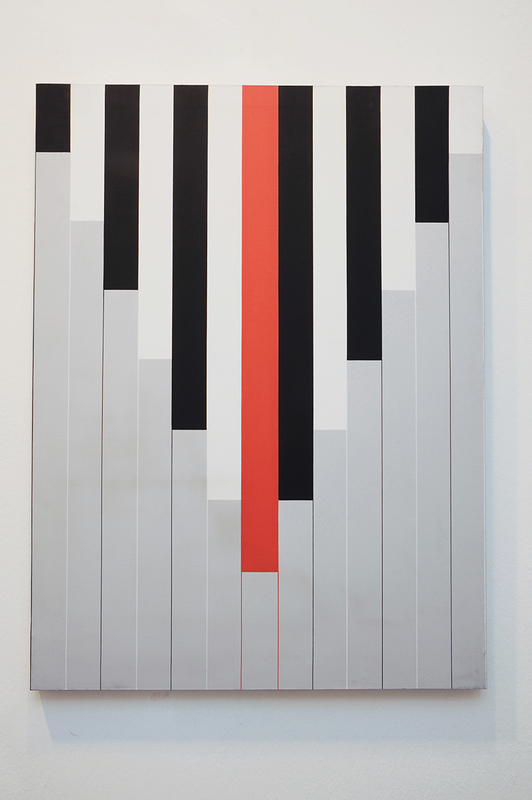 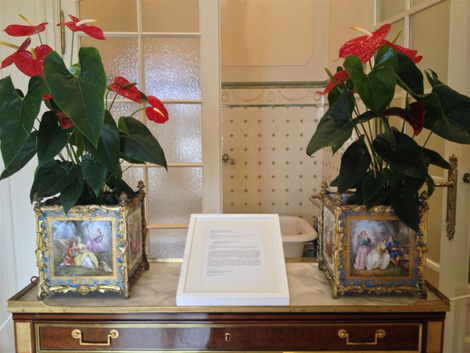 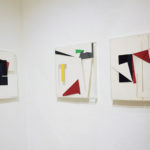 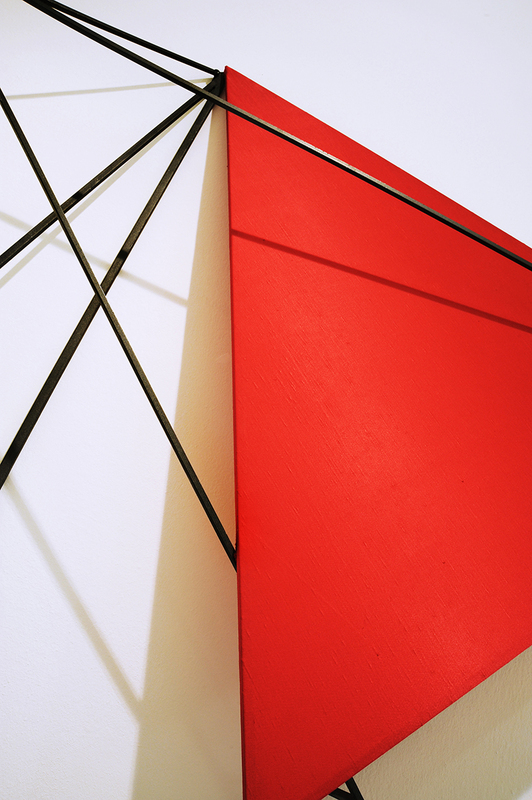 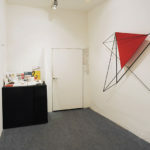 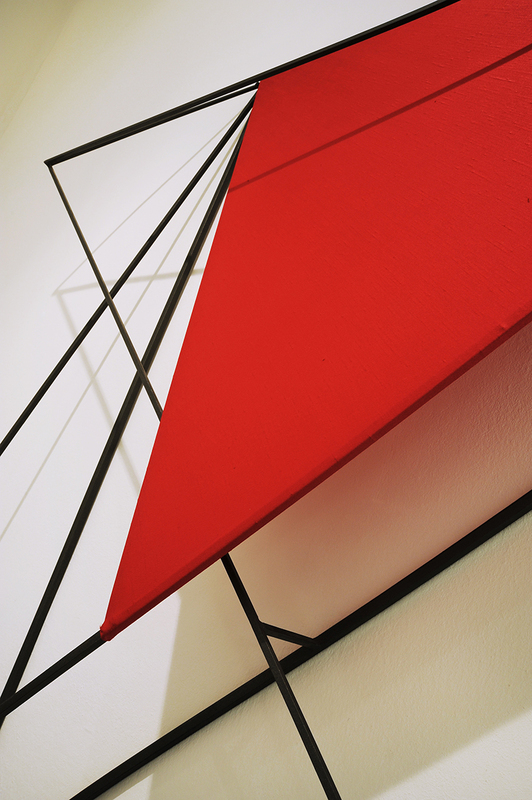 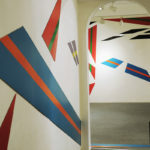 trajectories Polychrome is the title given by the exhibition curator Alberto Mattia Martini for this selection of works and installations made available by the Artist family and by 'Archive Paolo Ghilardi from Milan. 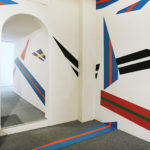 In the various rooms of the gallery are presented great works of Paolo Ghilardi on canvas of the early 70s, metal and fabric installations, Plexiglas and glass inside with transparent colored sheets and papier collage of different years 90, accompanying its large environmental installation, presented for the first time to Lorenzelli Gallery in Bergamo 1976, that fully occupies the first room of the gallery, consisting of dozens of colored foil light metal applied to the walls and floor, that envelop the visitor making him literally "come" in his work. 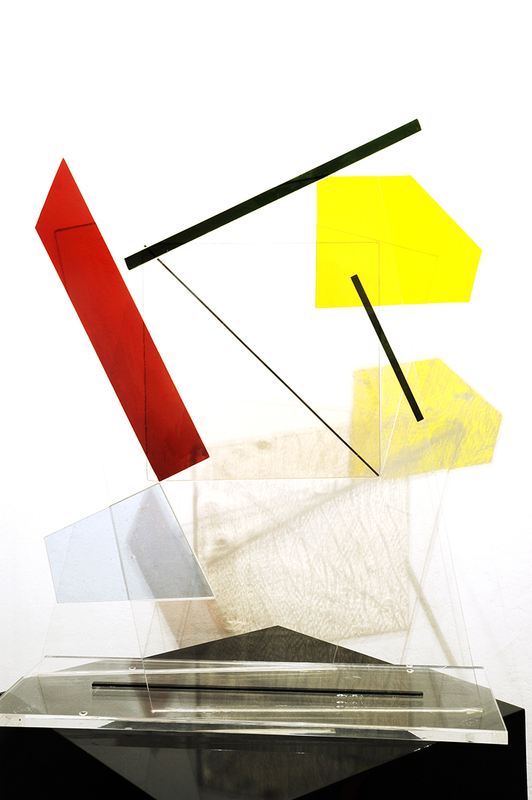 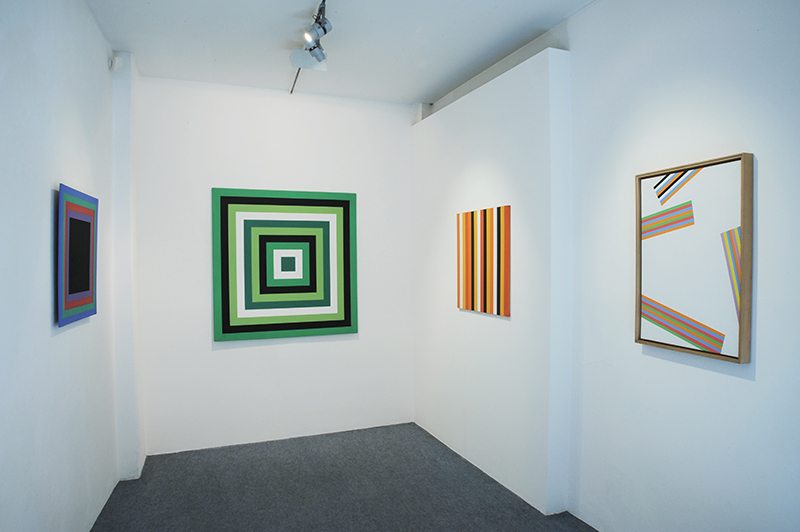 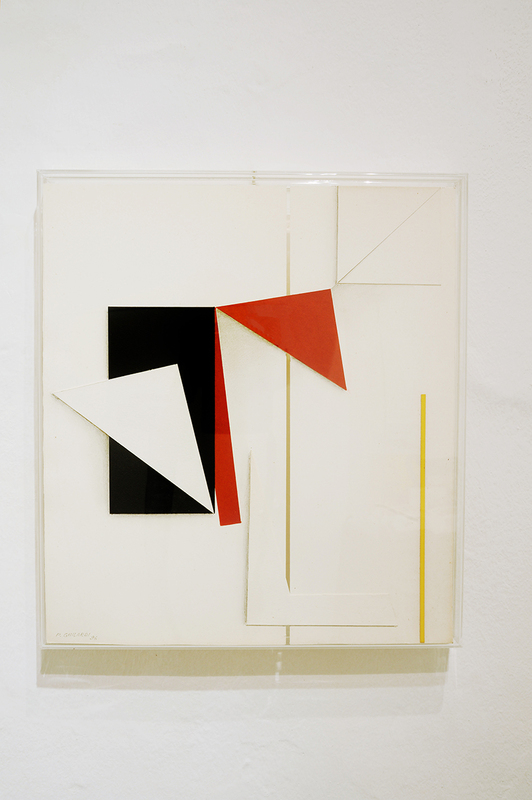 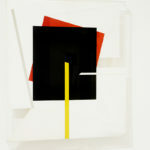 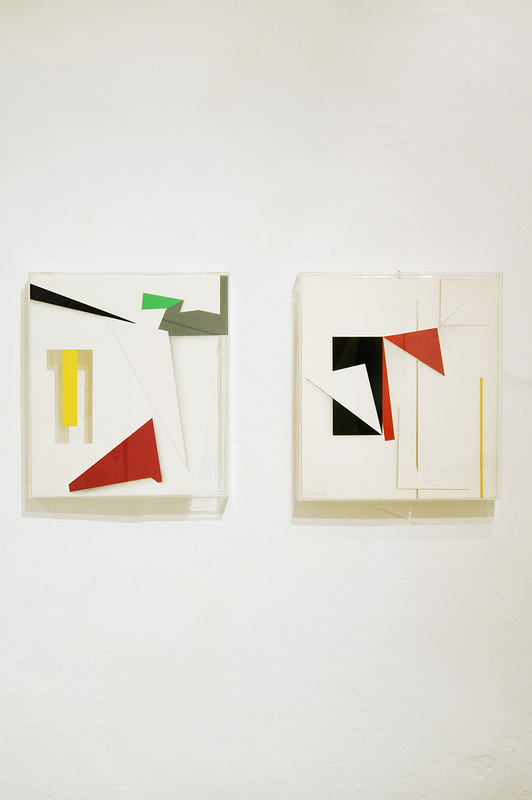 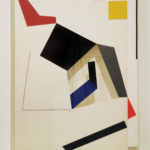 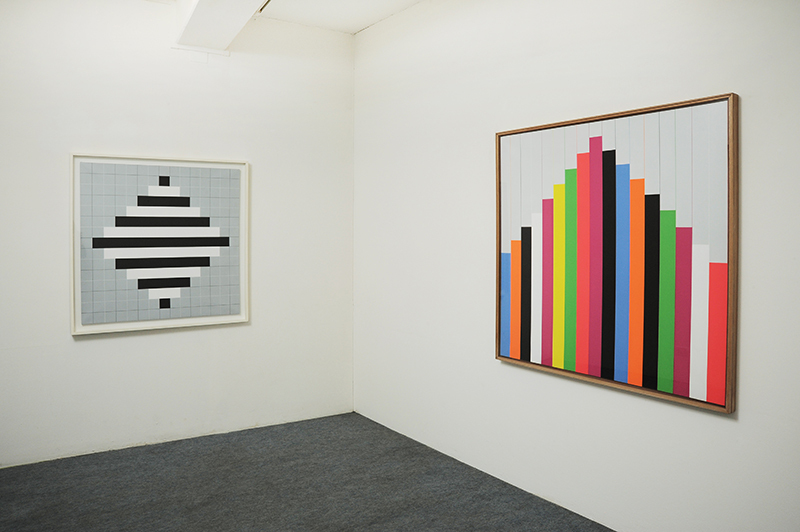 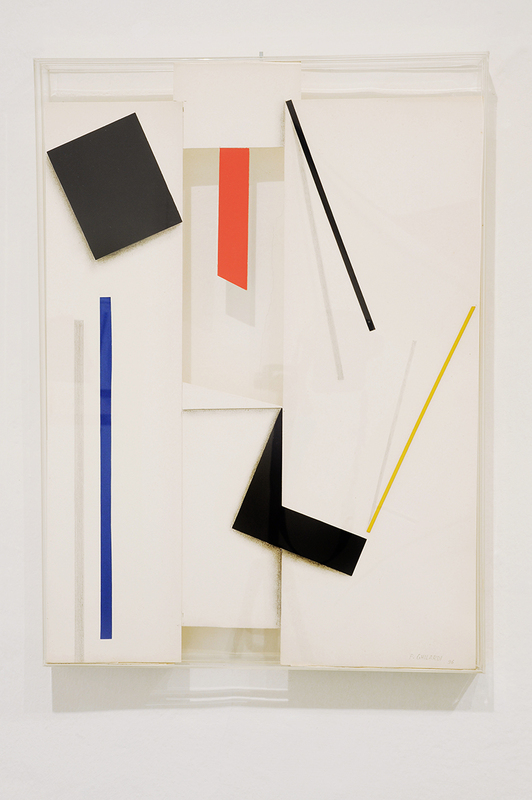 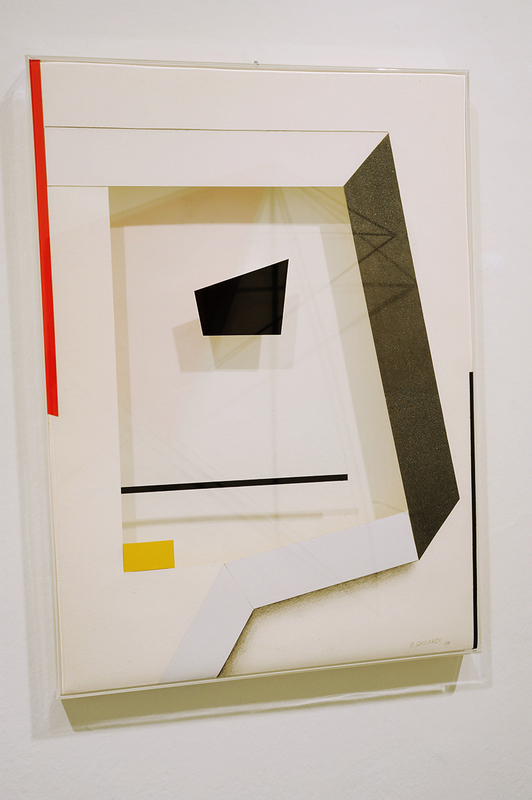 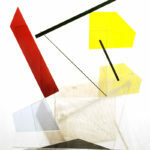 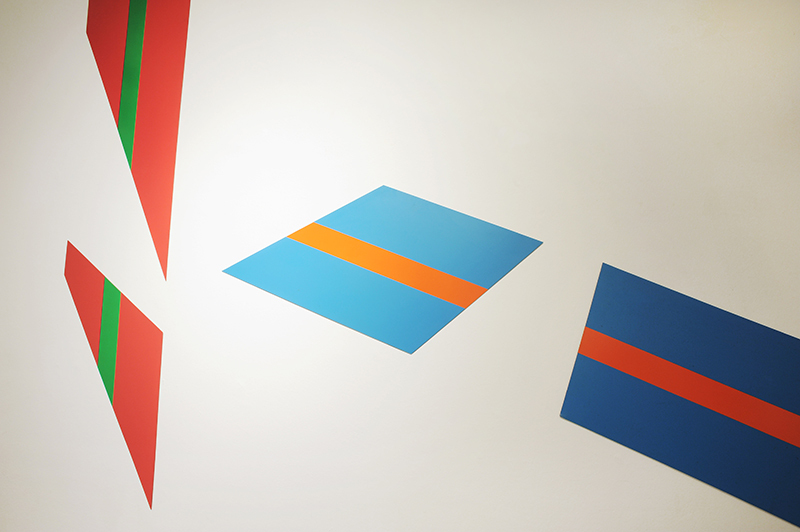 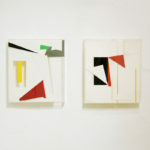 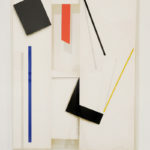 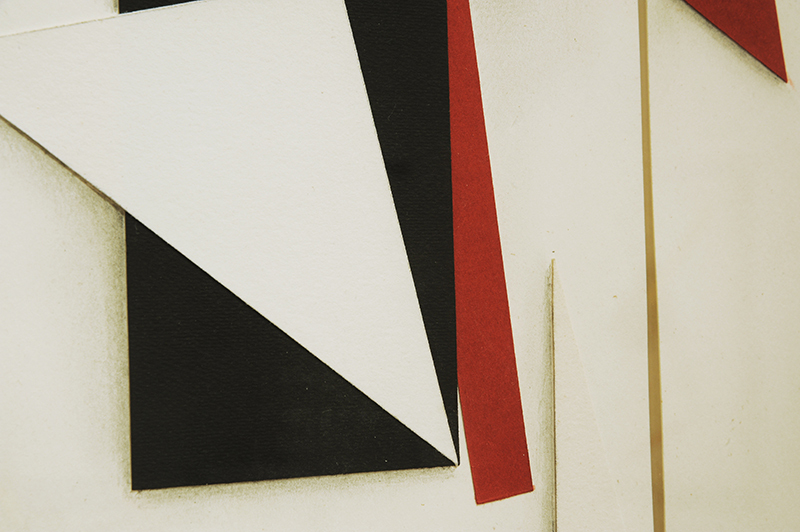 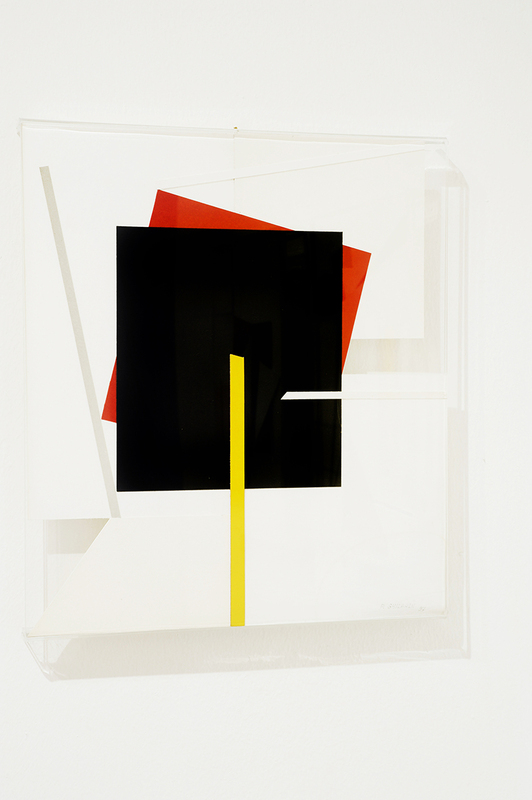 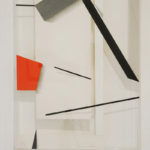 The artistic research of Paolo Ghilardi began with the expressiveness Figurative, then he is away, via, developed geometries, in the square, in lines, the simplification of the pictorial language, understood as a synthesis, essential element, not lacking of contents and emotions generated in particular by the use of color. 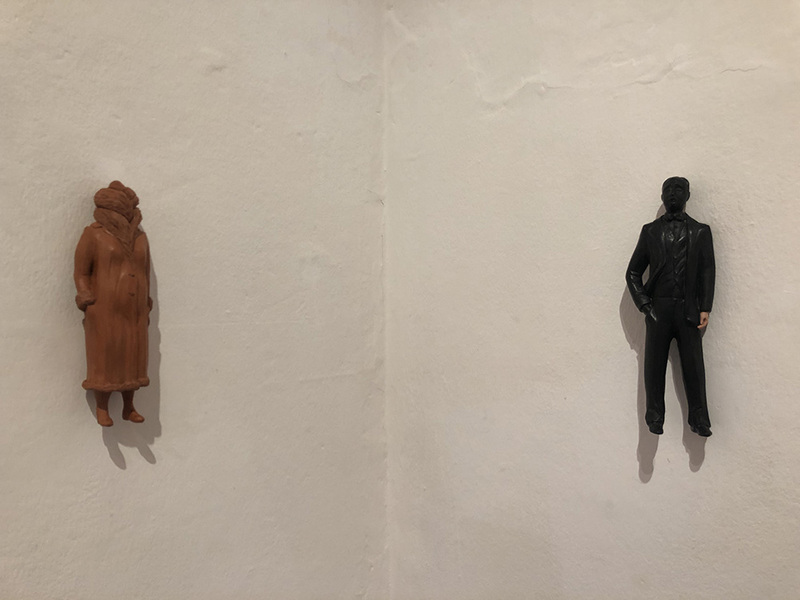 expressiveness, to Ghilardi, more rigorous, need, minimum, sometimes hard, but at the same time spontaneous, emotional and with a large opening to the dimension of pure fantasy. 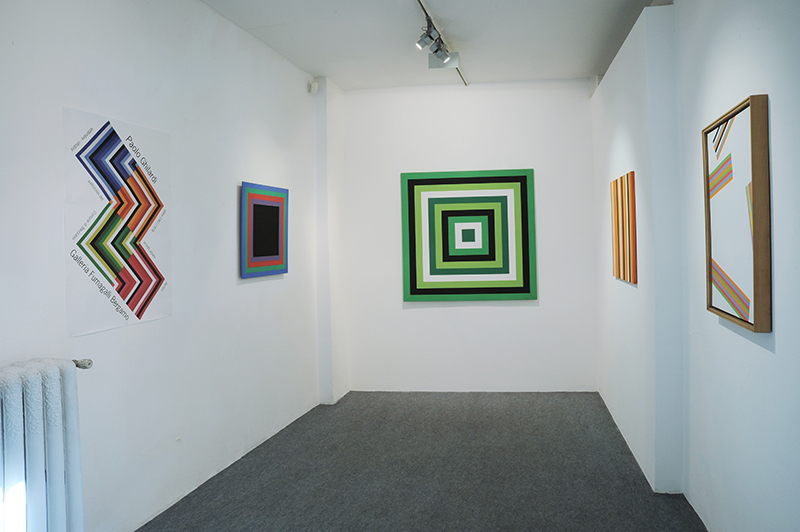 Art "perceptive" and aniconic, but also it stimulates an intimate dimension, an energy that interacts between space and time. 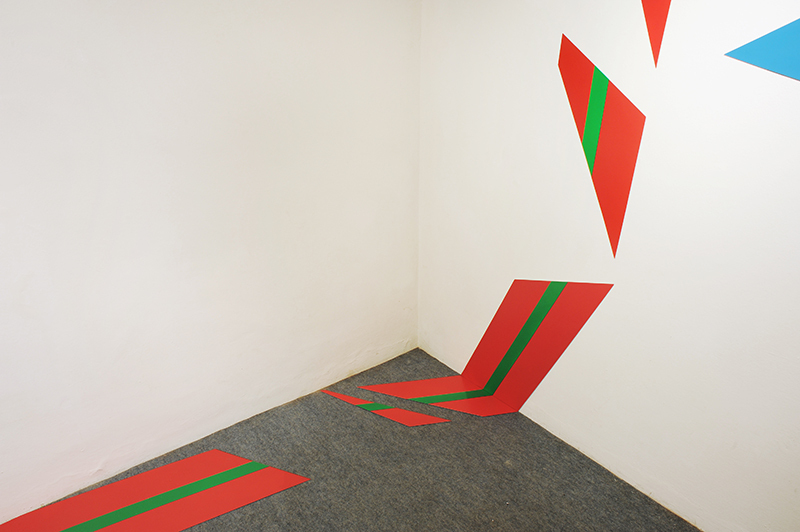 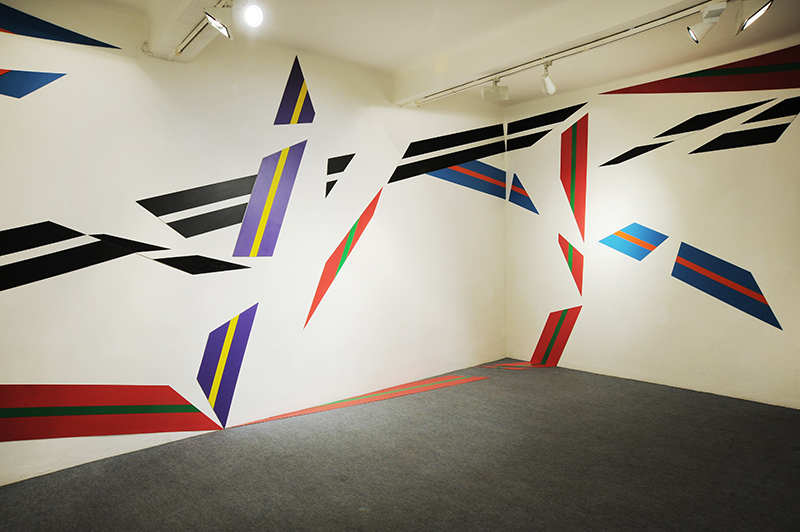 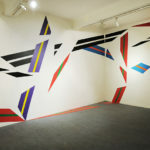 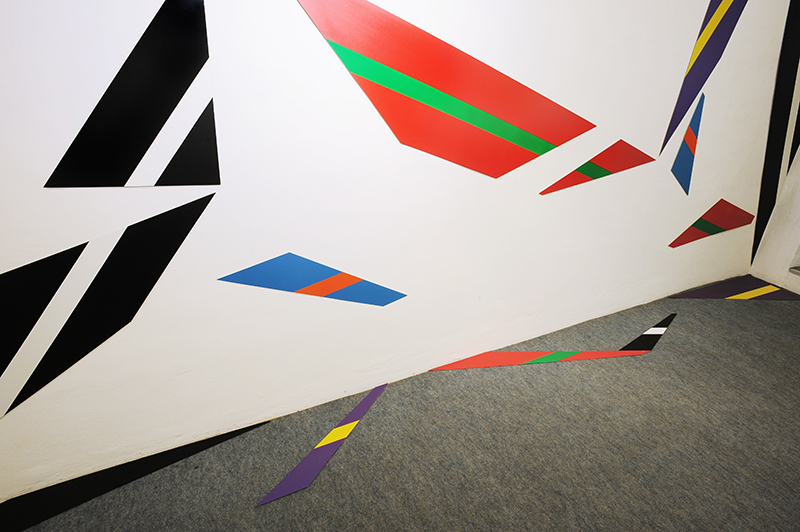 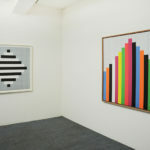 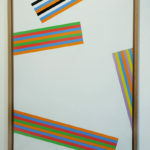 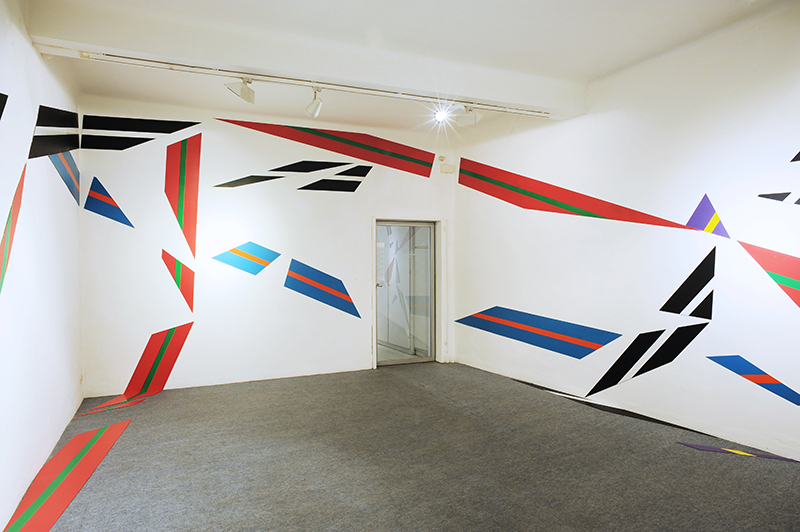 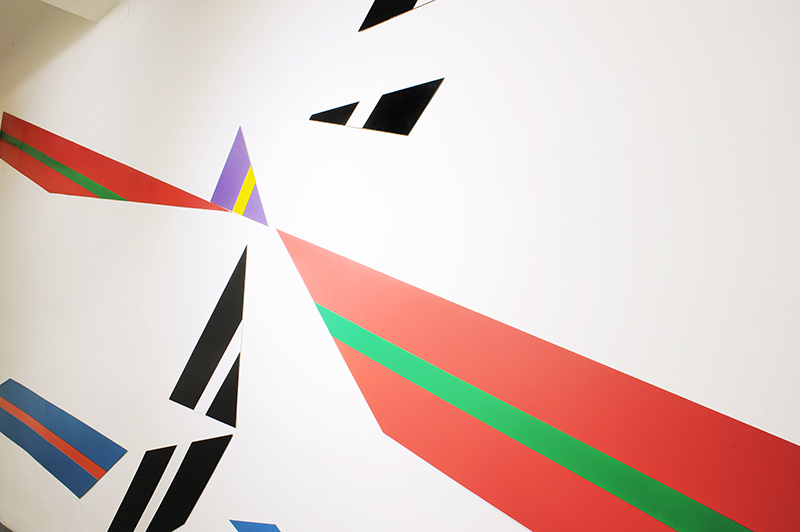 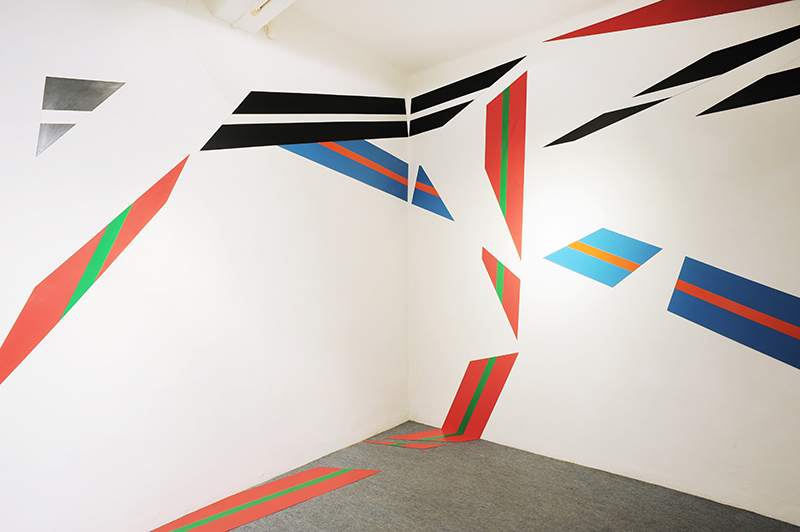 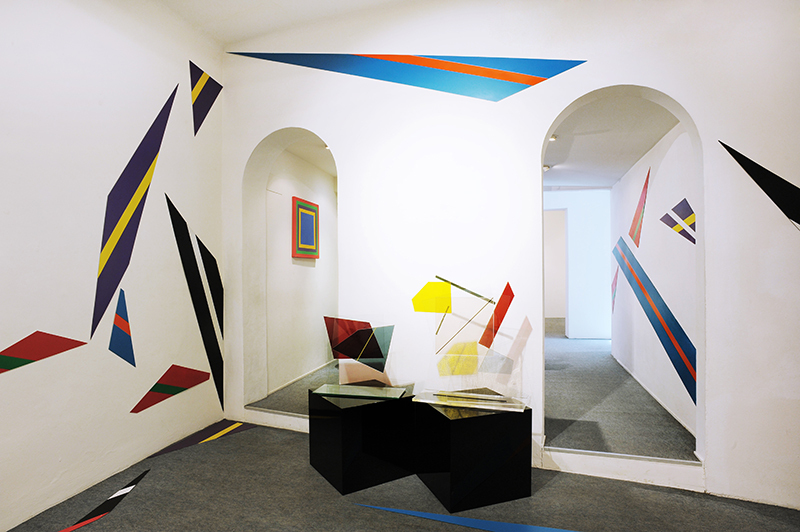 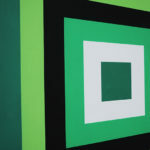 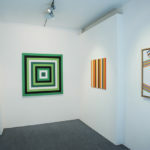 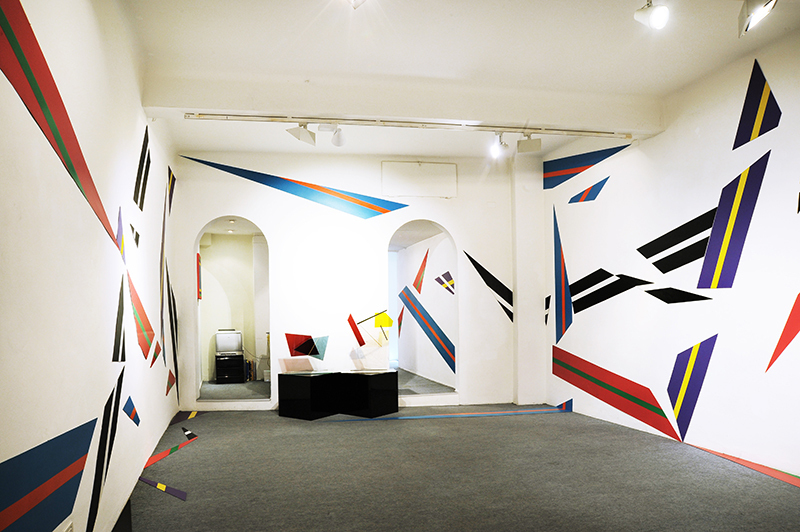 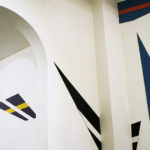 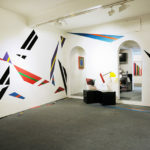 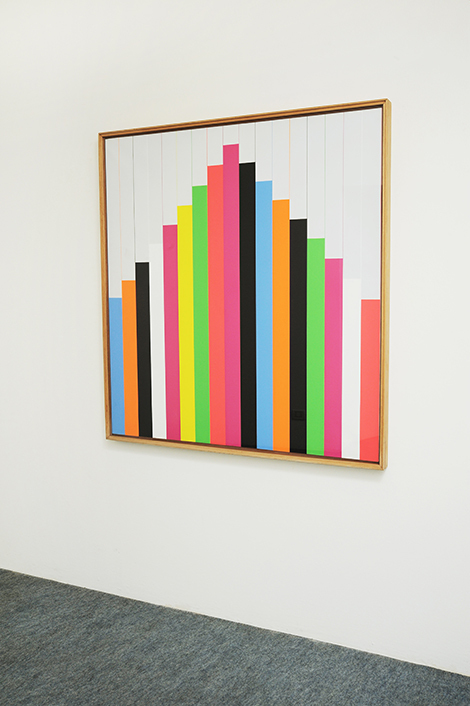 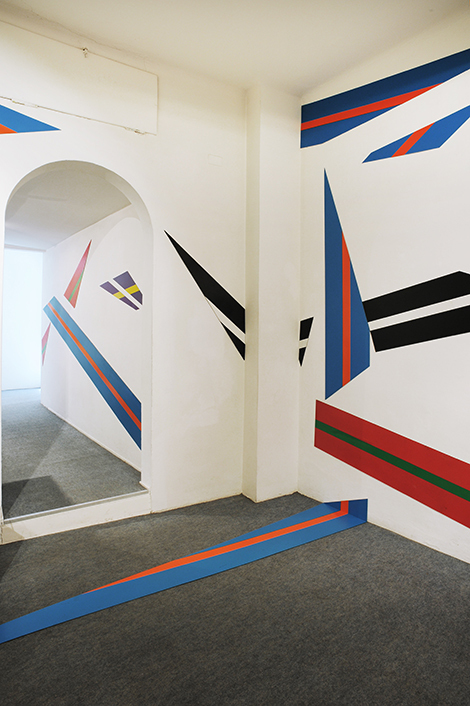 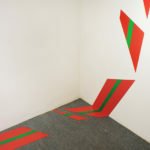 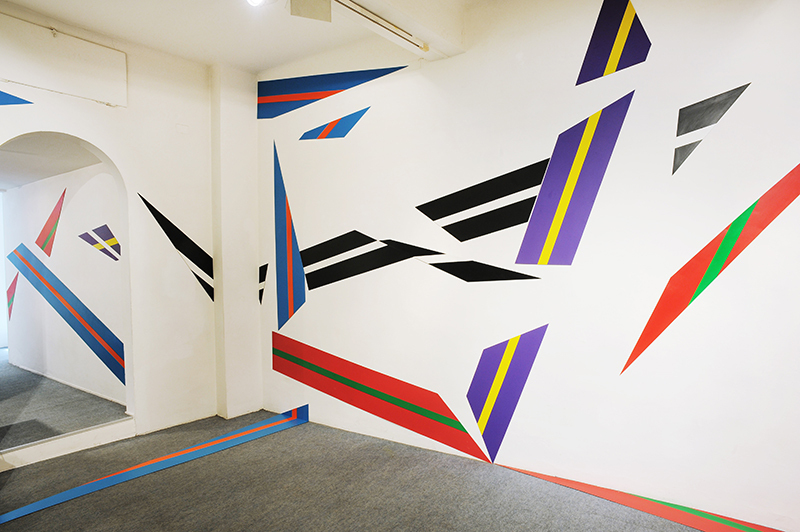 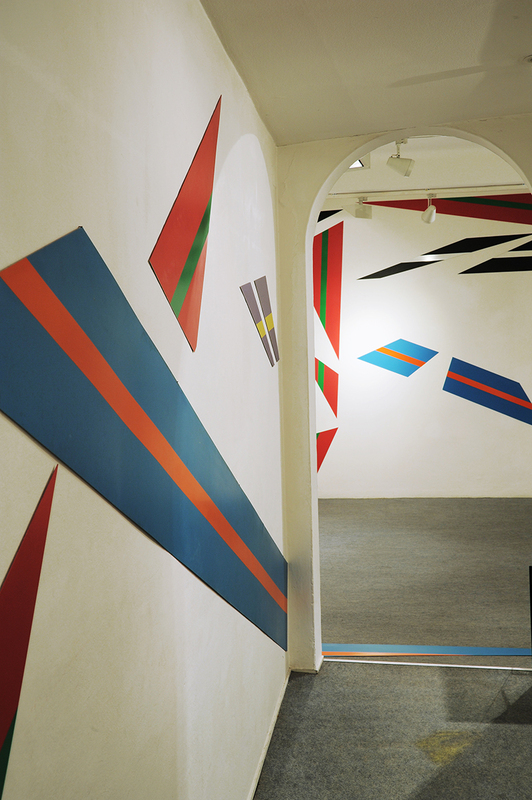 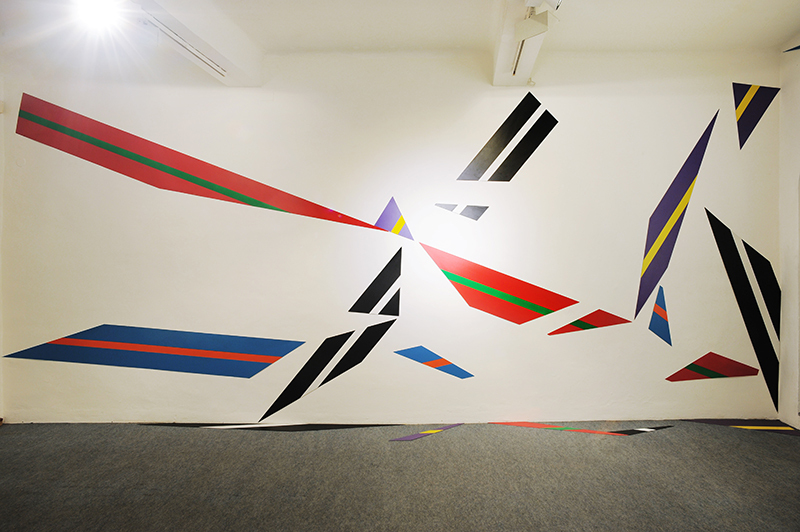 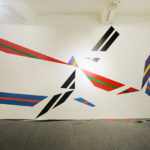 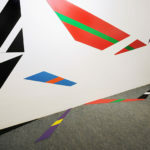 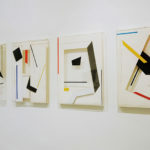 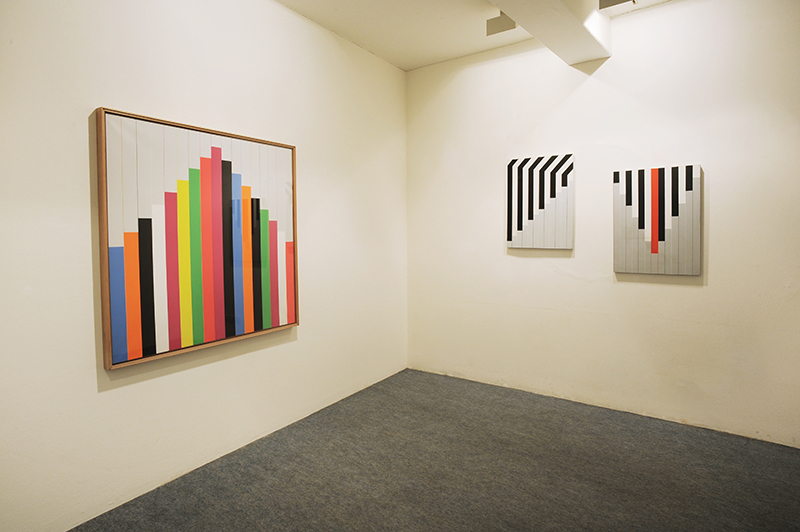 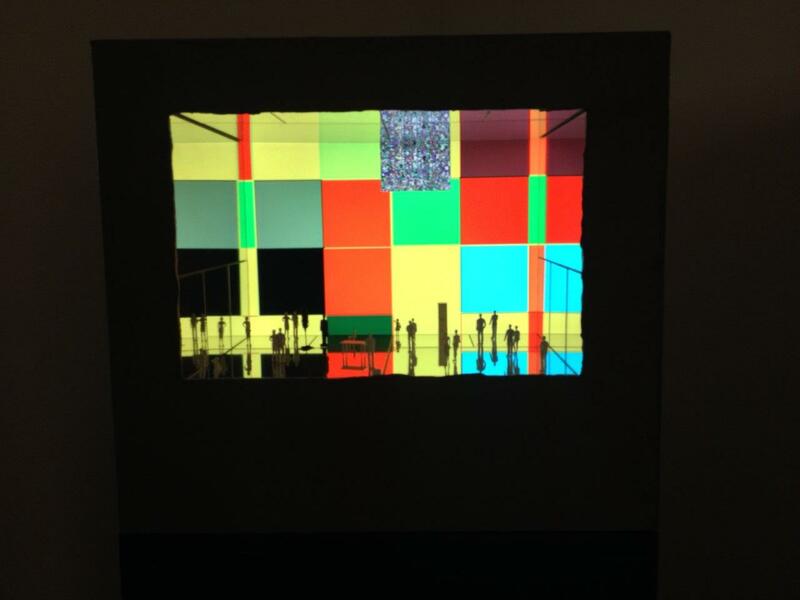 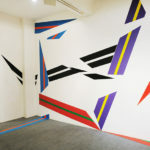 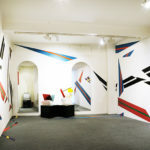 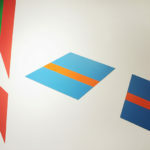 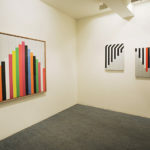 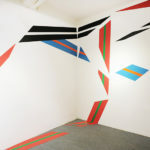 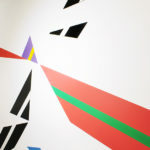 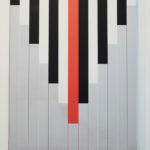 His is a constantly moving, that brought him in 1976 to shift his research from the canvas to the wall surface, and then the space is understood as a environment, to a size of installation that analyzes the structure and geometry as internal investigation and redefinition of the place, not only exhibition, but also as an architectural space reconstructed through various trajectories color. 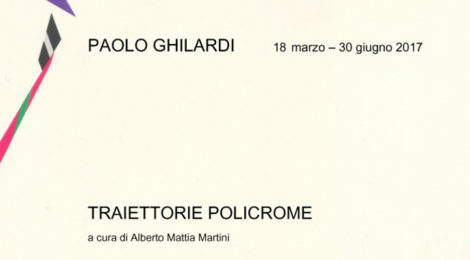 This aspect of his very dear to search Ghilardi and which led him to deepen this investigation until his recent death. 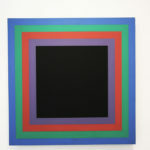 Paolo Ghilardi It was born in Bagnatica, in the province of Bergamo, in 1930 in a very large family. 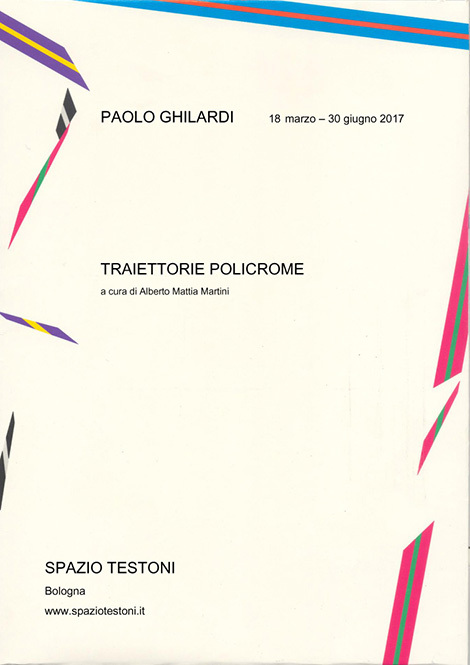 Studied at the Istituto Tecnico Industriale and fifties he works as an independent mechanical designer for Dalmine and for the Innocenti. 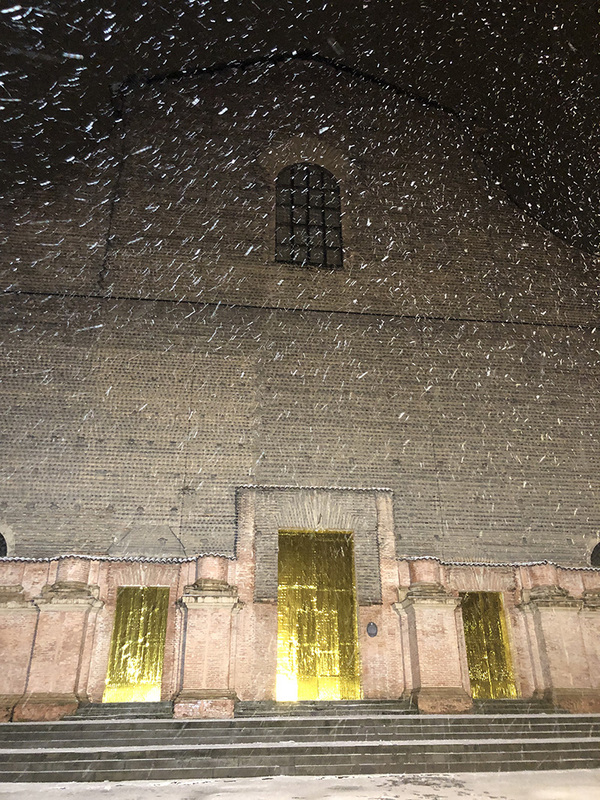 Meanwhile attended evening classes of Achille Funi, then director of the Academy of Fine Arts Giacomo Carrara in Bergamo deepening and completing his training. 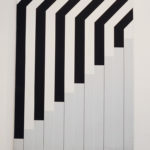 Of the eight brothers, Giuseppe, the biggest, He graduated in piano at the Giuseppe Verdi Conservatory in Milan and transmits to Paul's passion for music. 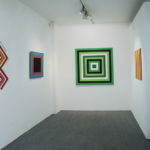 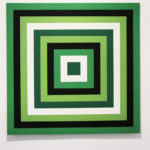 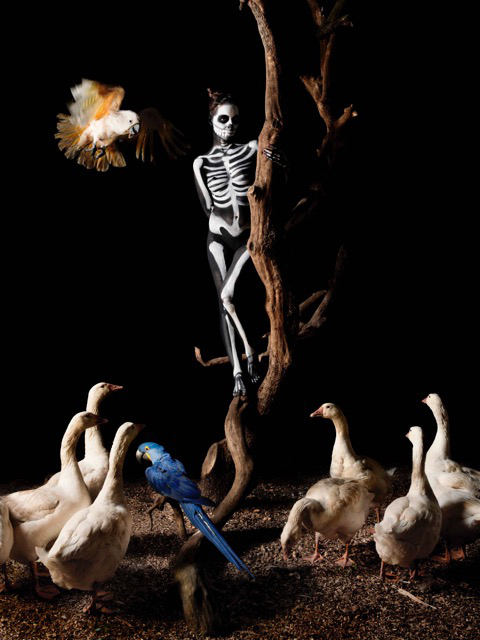 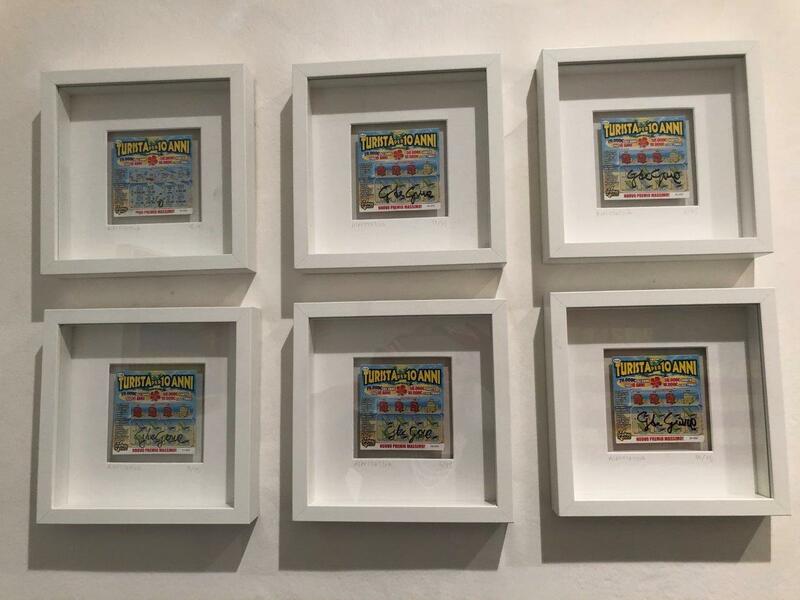 He debuts on the Lombard art scene since the late forties, with participation in awards and in group exhibitions, dedicating themselves with commitment exhibition activities. 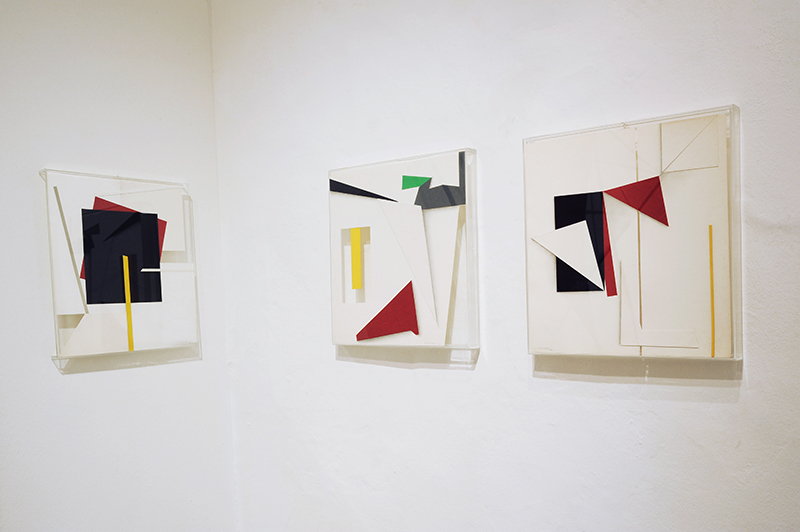 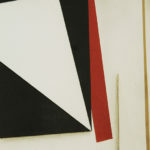 In 1967 he held his first solo exhibition at the Gallery of Milan Mainieri. 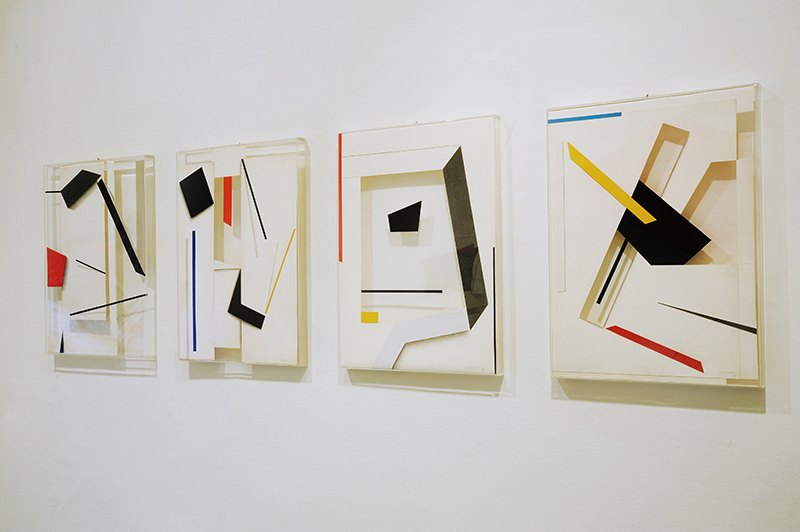 The following year he began teaching "pictorial Disciplines" at the Art School of Bergamo State, a position he held until 1986. 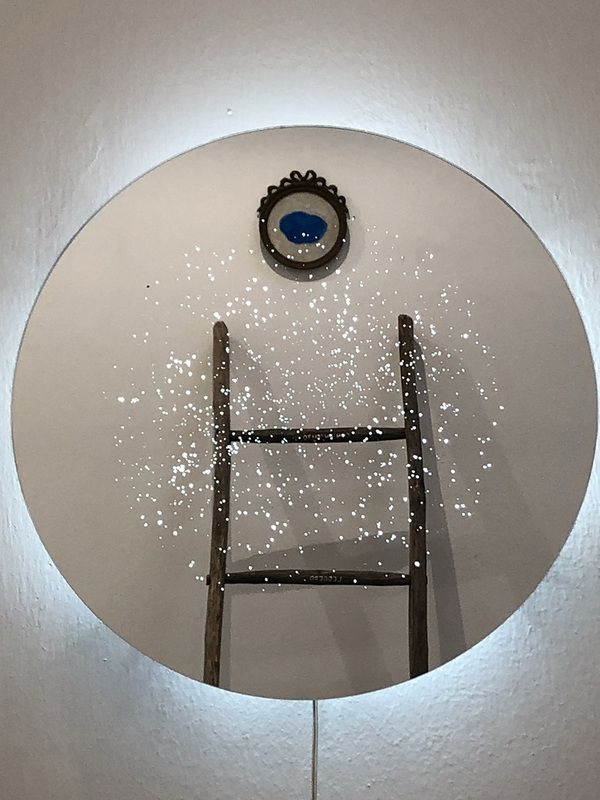 In 1969 in Calice Ligure knows gallerists Remo pastors and Maria Cernuschi Ghiringhelli with which establishes a long relationship of friendship. 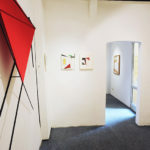 In this environment it has the opportunity to meet numerous artists including Carlo Nangeroni, Mauro Reggiani, Jean-Michel Folon, Jean Leppien and Emilio Scanavino, for which she will design the funerary chapel in the cemetery of Calice Ligure. 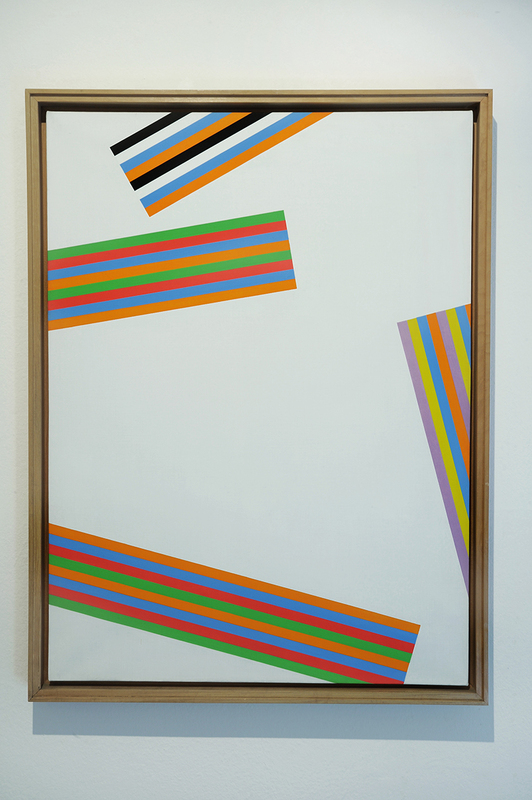 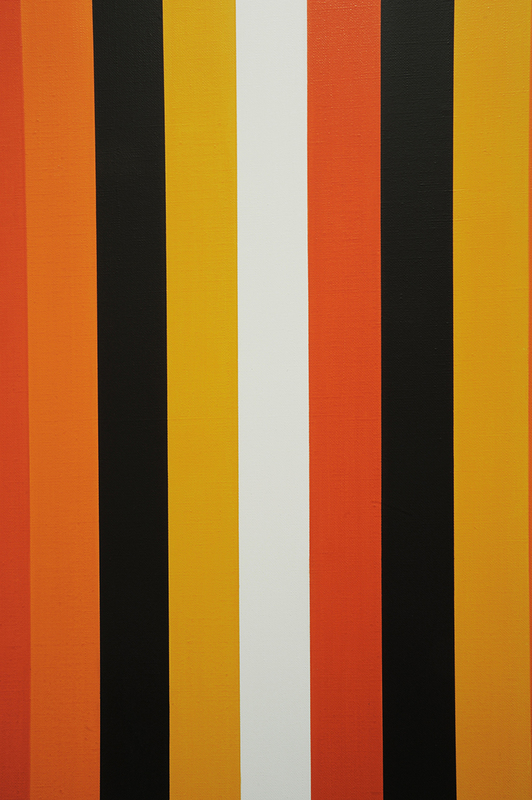 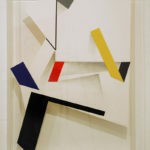 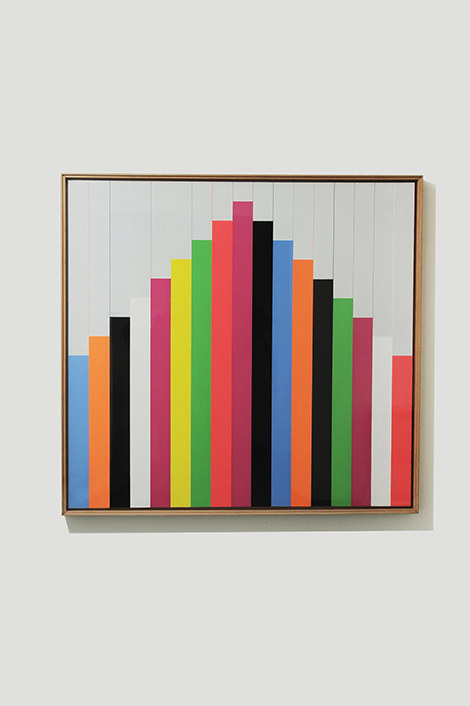 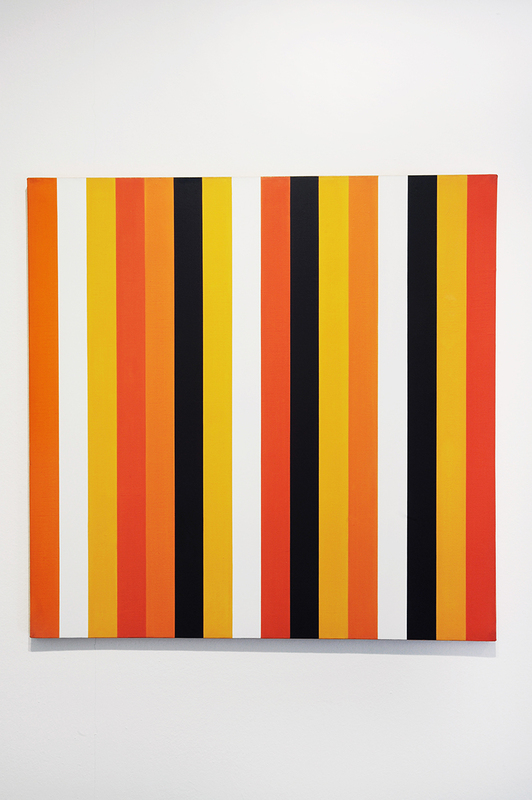 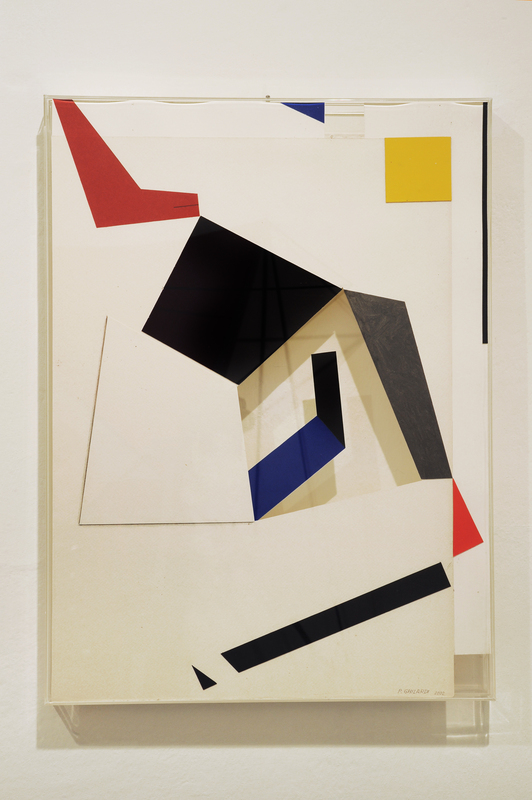 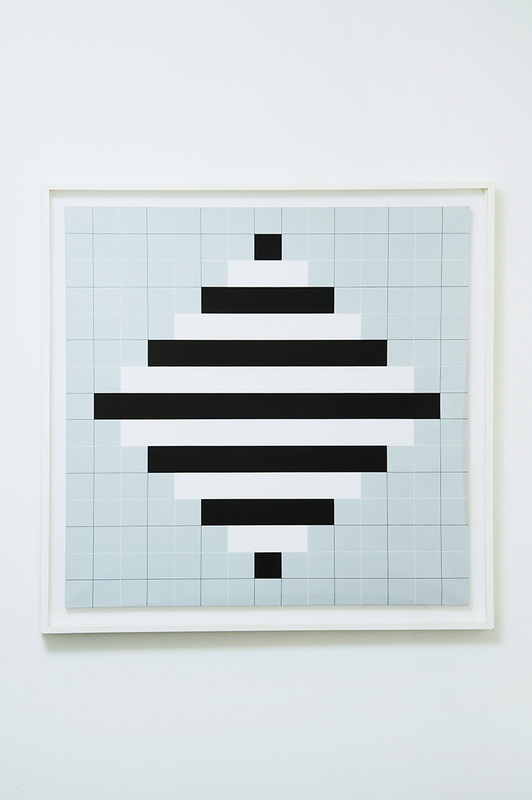 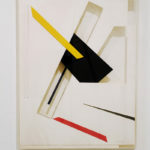 His beginnings are characterized by the adoption of a figurative language always updated, but later its horizons open to the researches on geometry, on the structure of the forms and the color values; the result is a more conscious interest in the abstract. 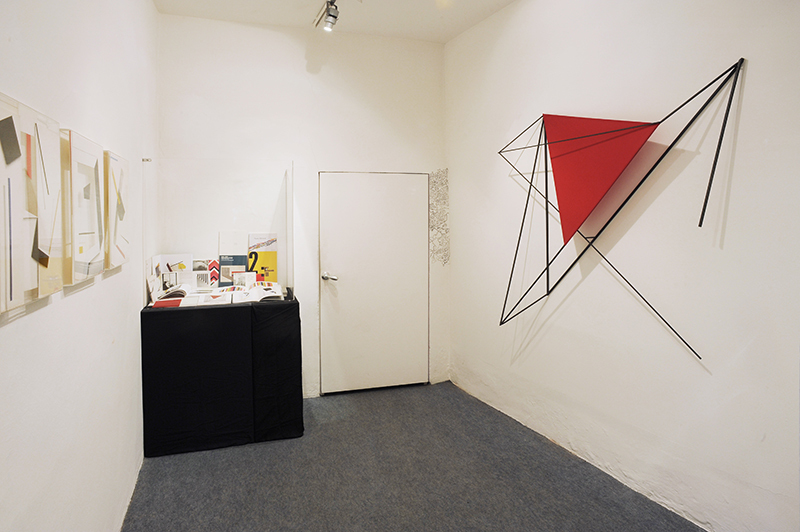 friend Alberto Zilocchi together, the mid-seventies participates in meetings organized by the International Centre of Constructivist Art Studies Antwerp-Bonn. 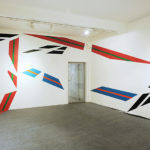 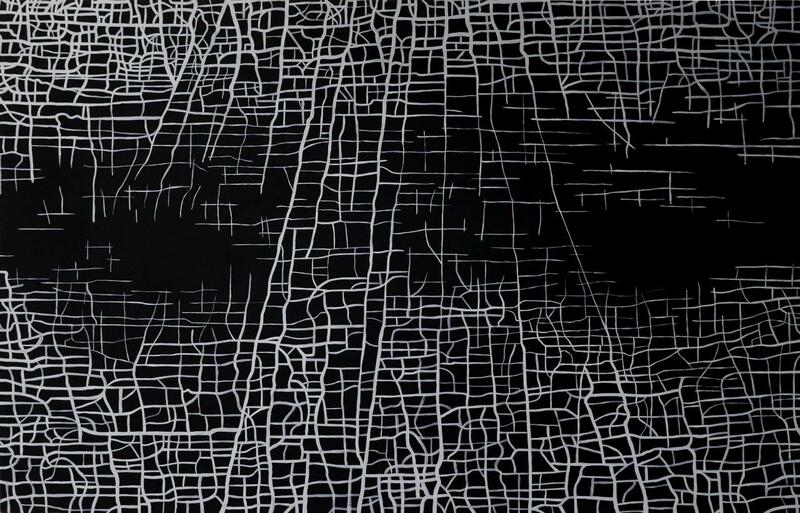 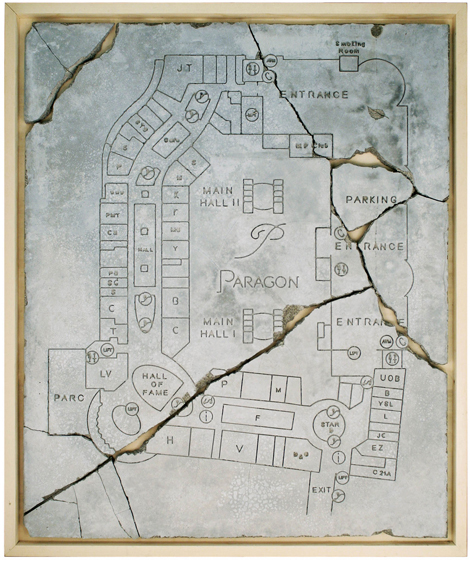 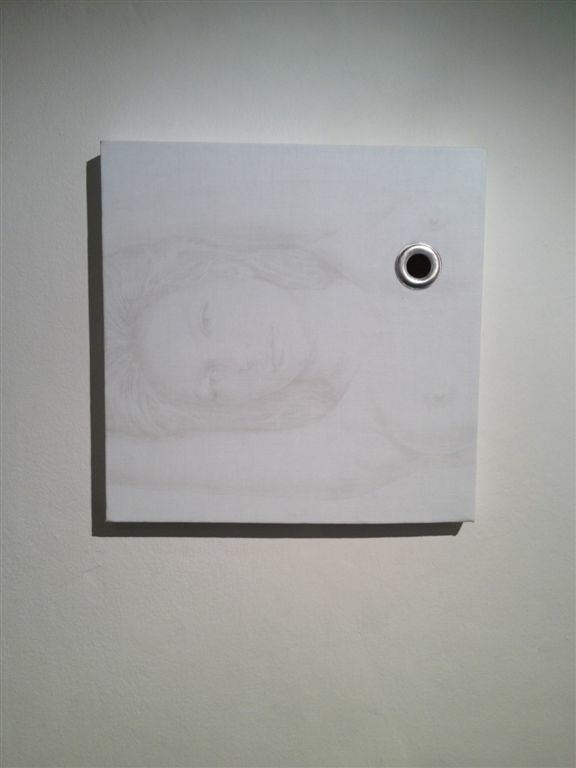 From 1976 his trespasses looking beyond just the surface of the canvas and Ghilardi is being "taken" of entire environments, thanks to its interventions will totally change, themselves becoming an integral part of the artwork. 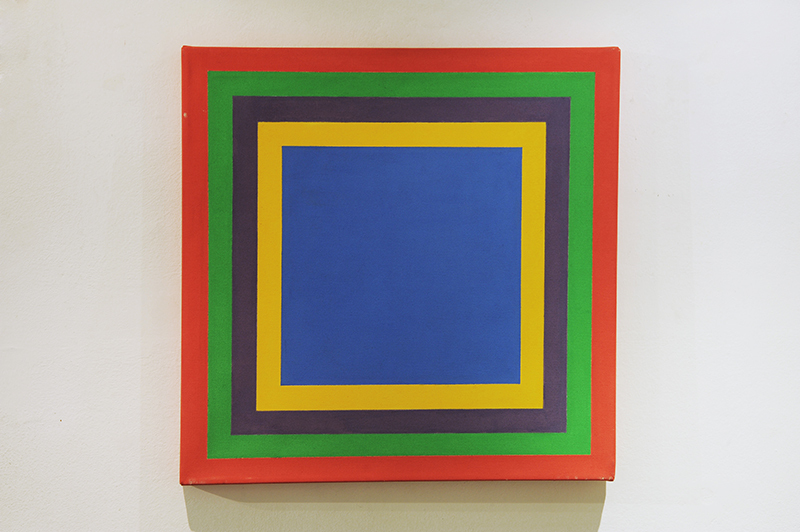 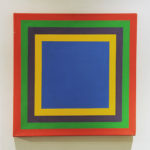 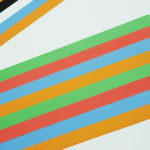 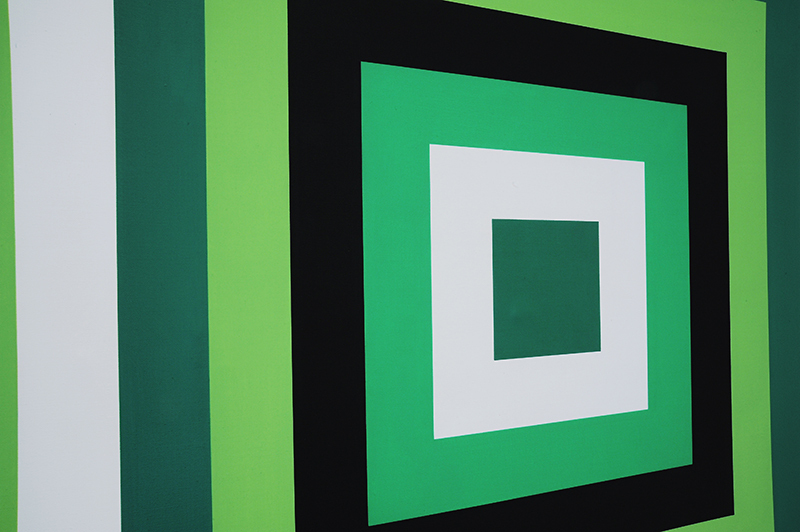 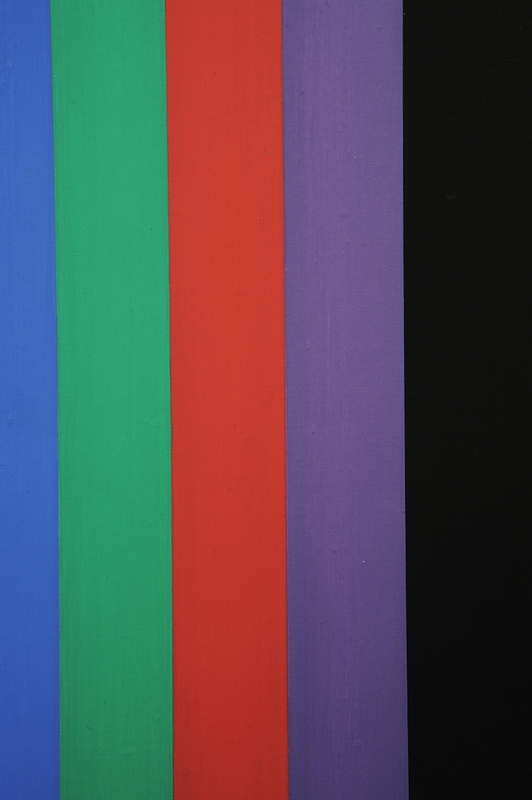 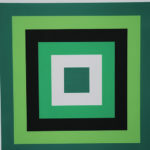 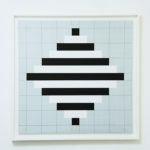 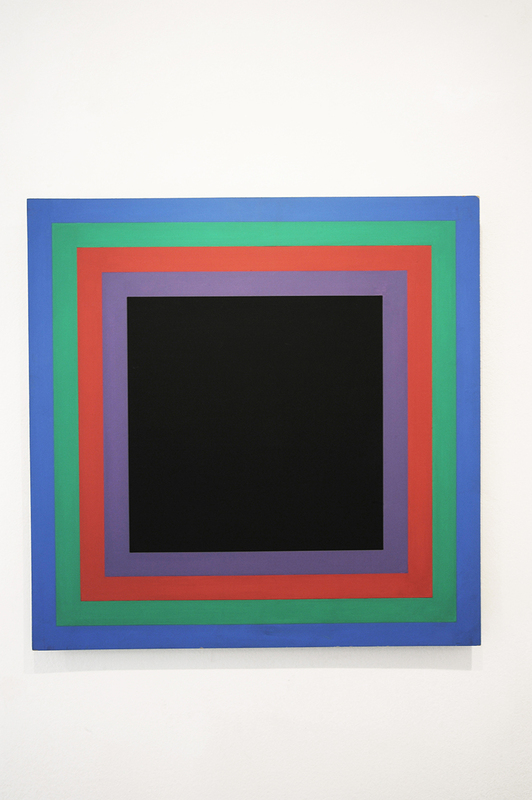 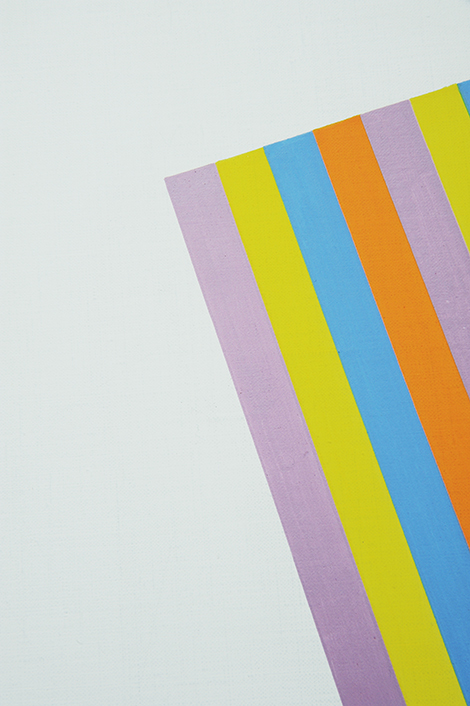 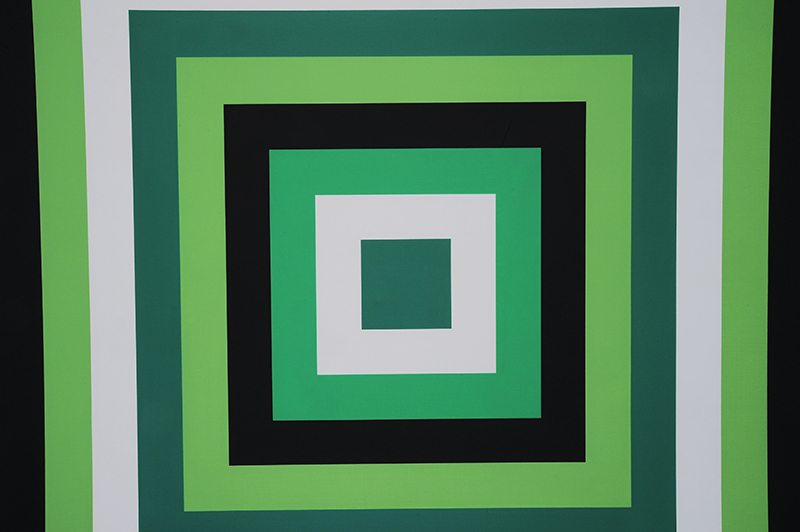 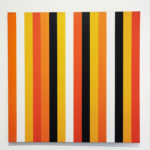 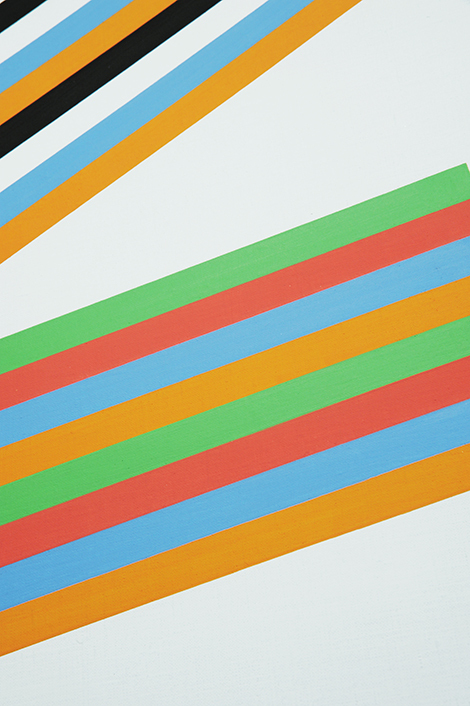 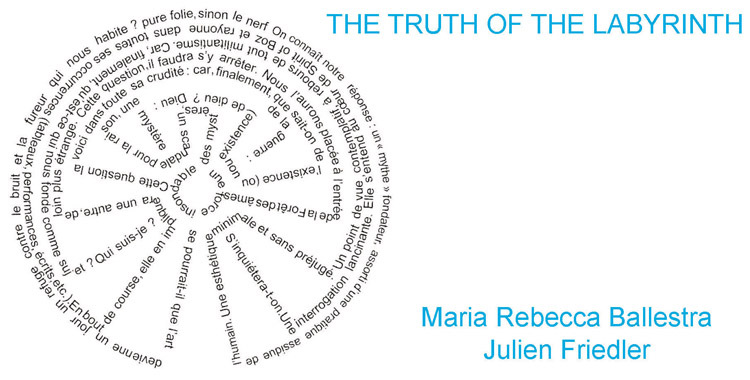 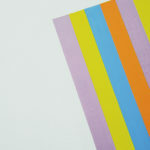 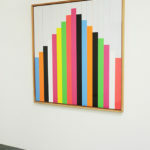 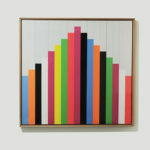 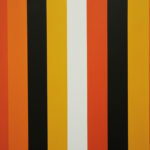 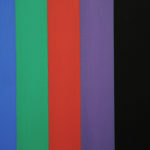 From 1977 to the 1980 He teaches "Color Theory and Painting" at the Academy of Fine Arts G. Carrara in Bergamo. 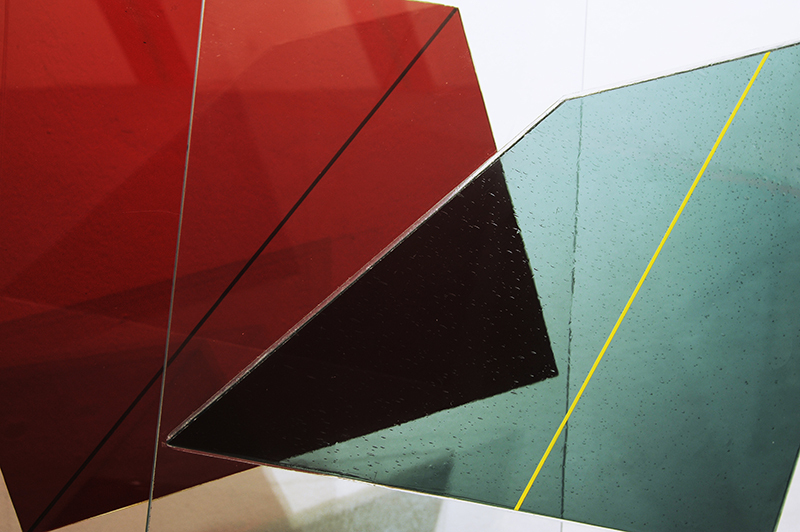 In 1980 He builds the first large glass sculpture, entitled "ATMA", concerning the project of arrangement of Stezzano cemetery arouse some controversy for the modernity of conception. 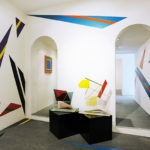 During the eighties, on behalf of the City of Bergamo, deals with the urban quality of the historic center making significant recoveries; he is also entrusted with the role of adviser to the "color plan" of the city. 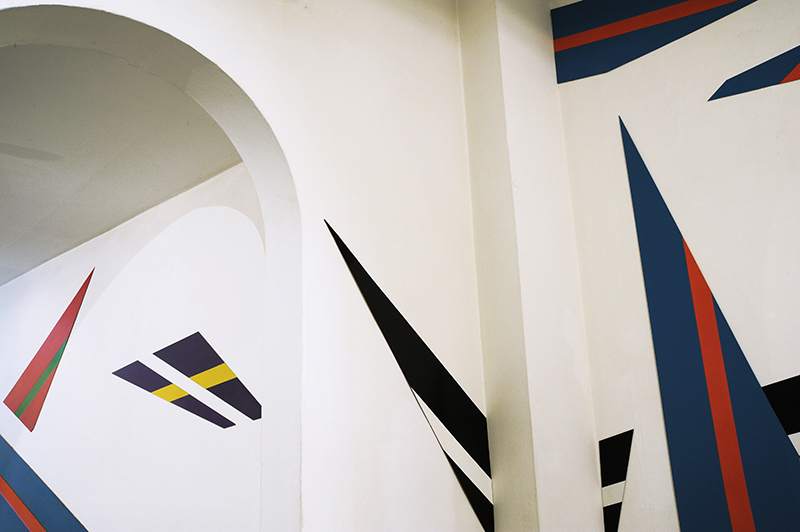 In 1988 designing the redevelopment of the square Freedom, the forecourt of the Church and the Auditorium of the town of Stezzano, where resides Ghilardi. 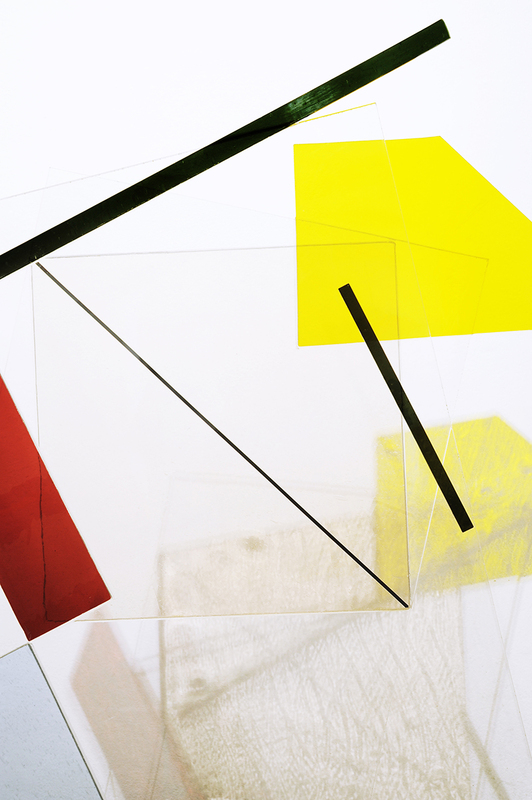 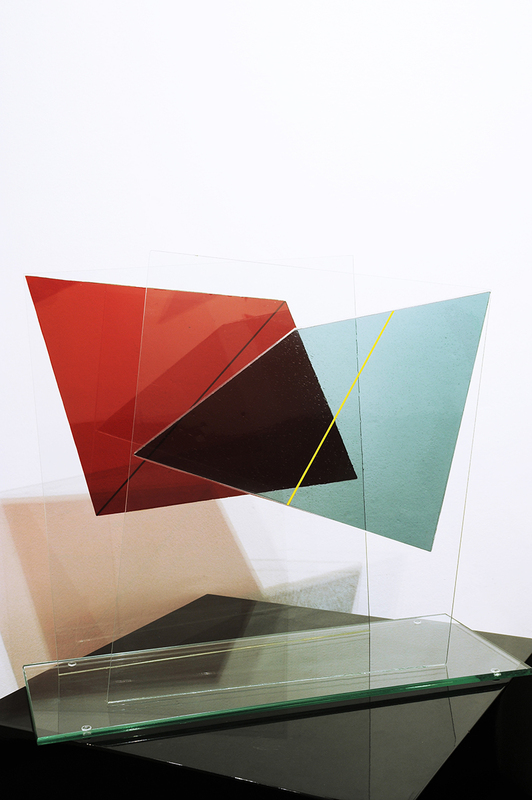 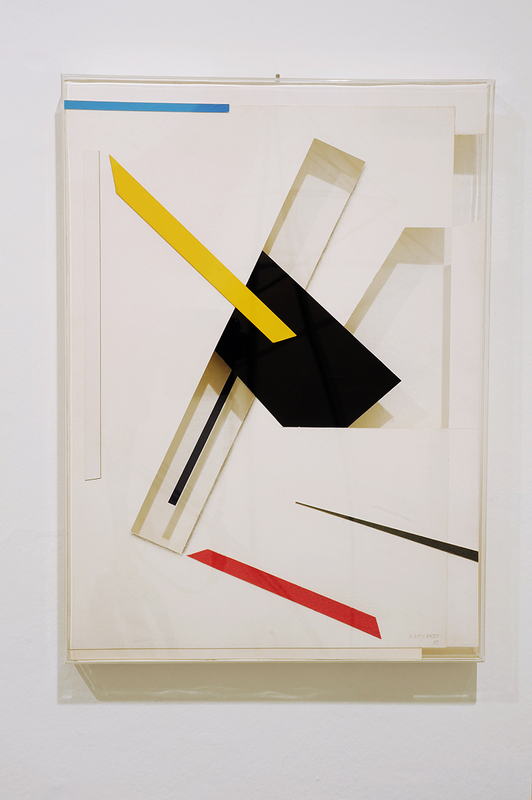 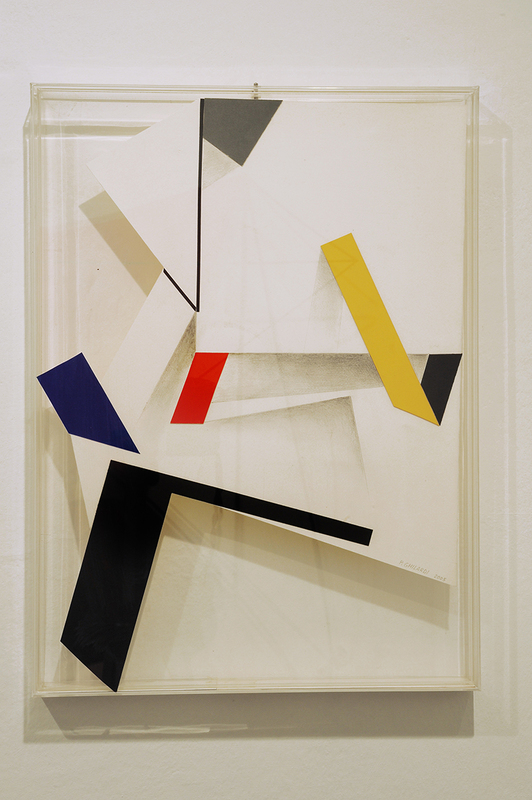 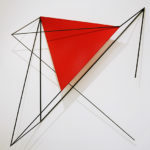 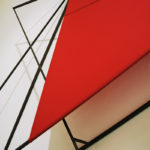 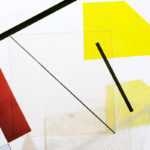 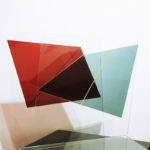 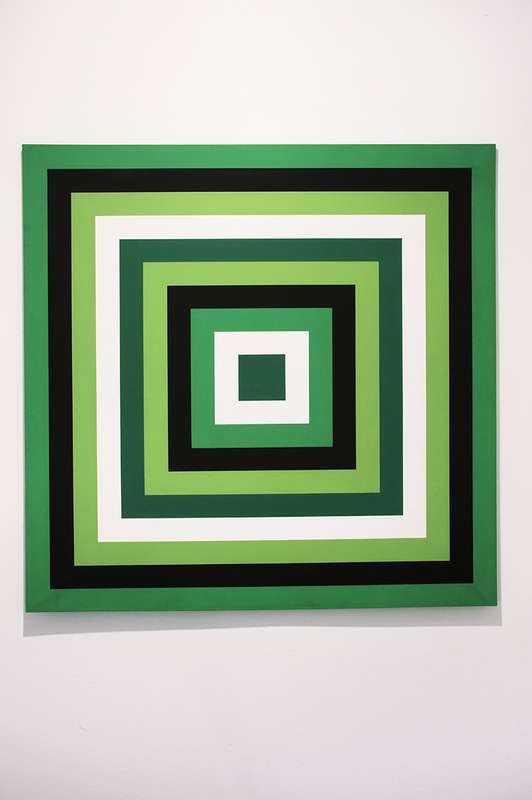 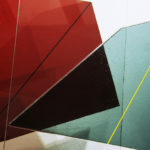 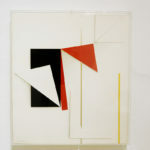 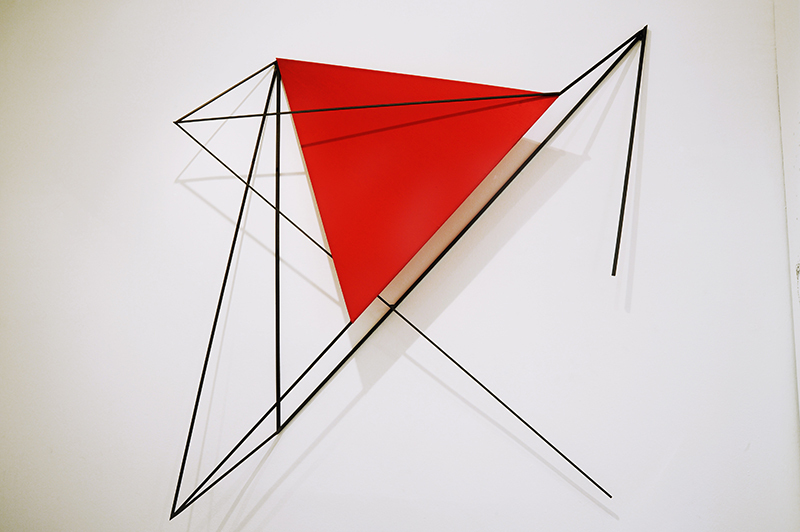 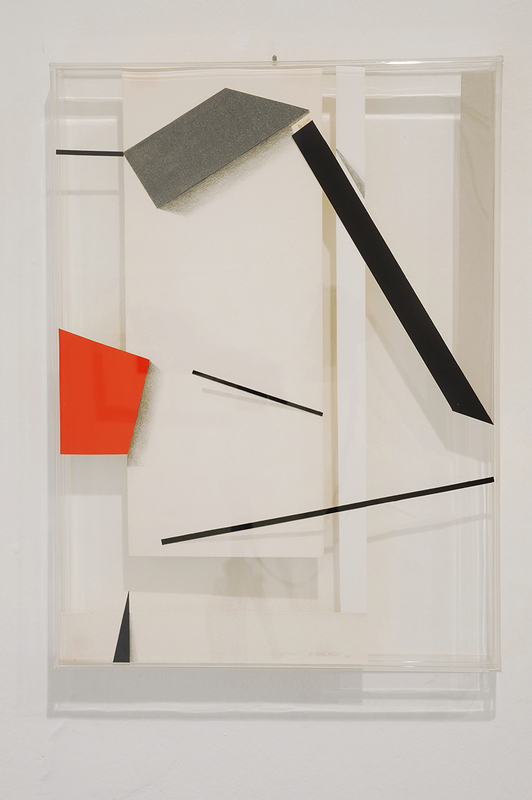 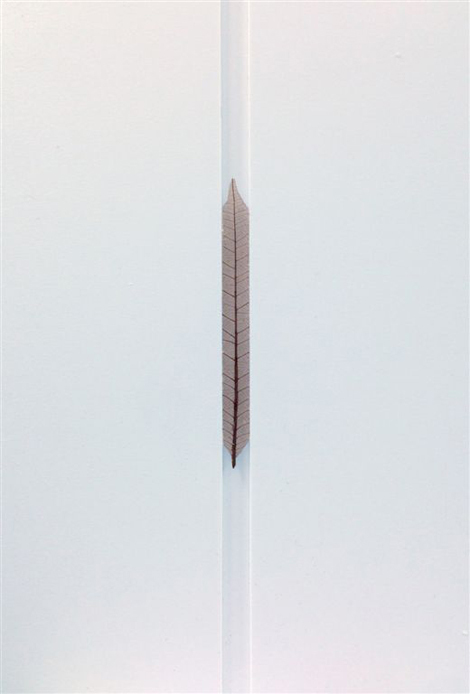 In the nineties he experienced the iron assembly, plexiglas, fabric, in an original redefinition of the boundaries between painting and sculpture. 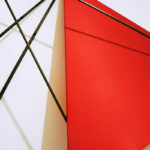 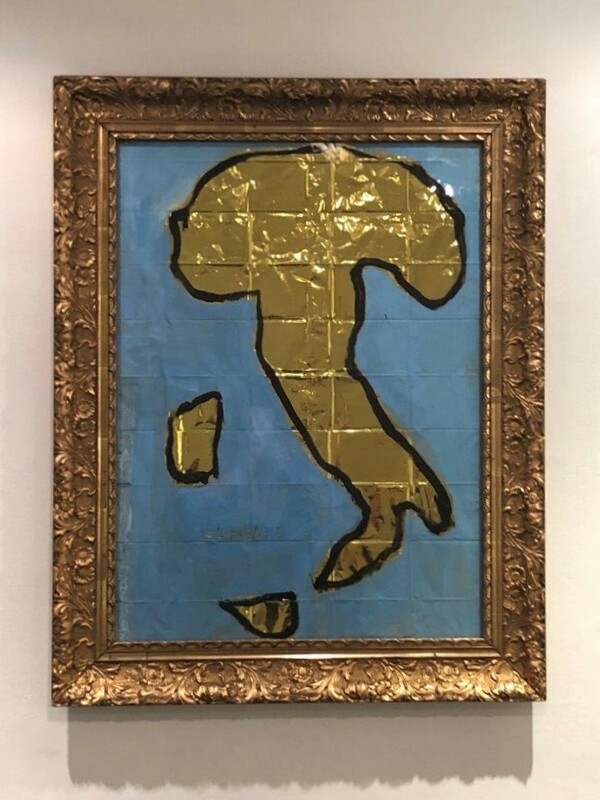 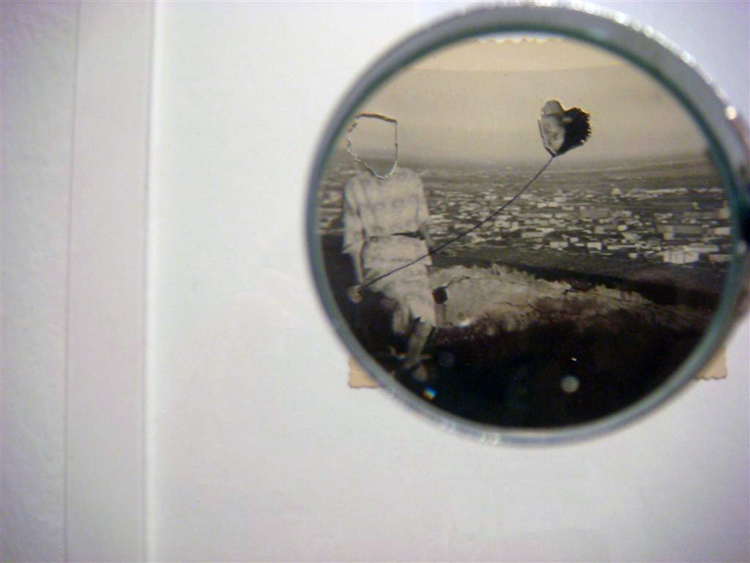 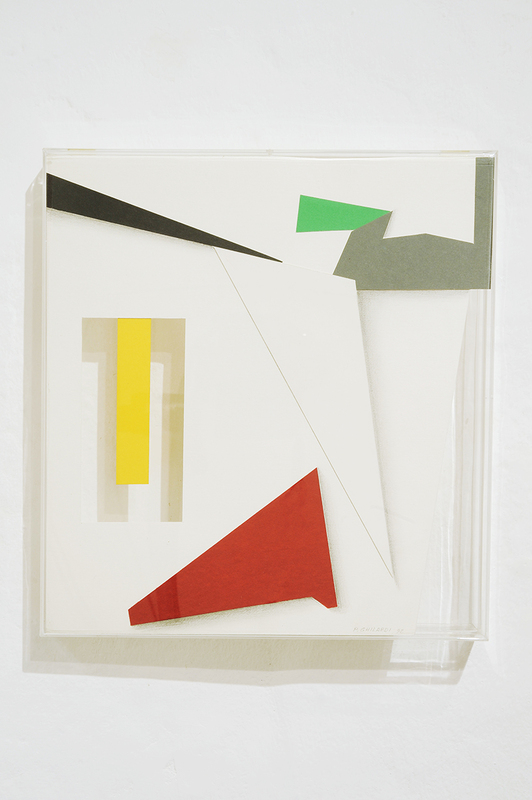 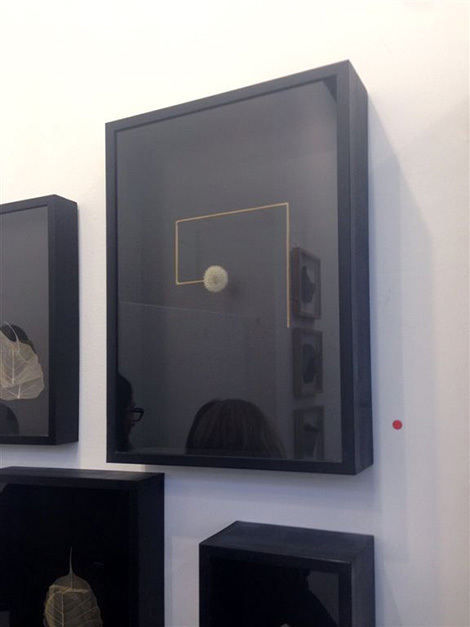 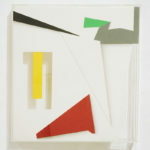 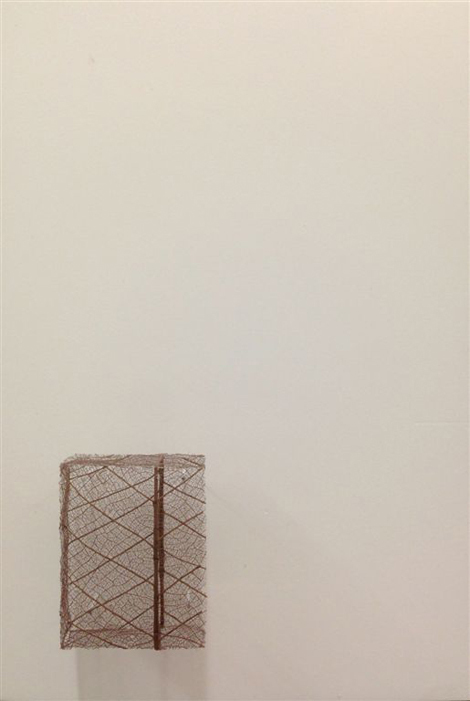 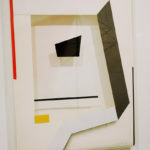 The last years are dedicated to the practice and collage papier coupe under Plexiglas Ghilardi develops mainly in medium and small format works. 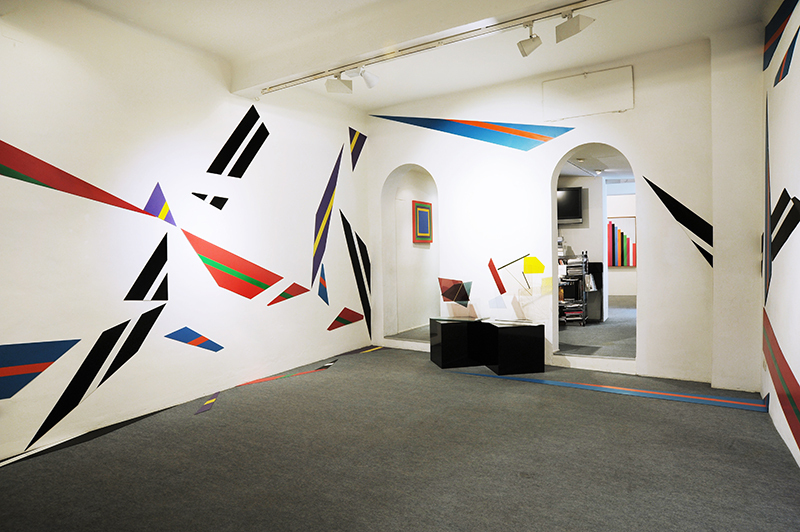 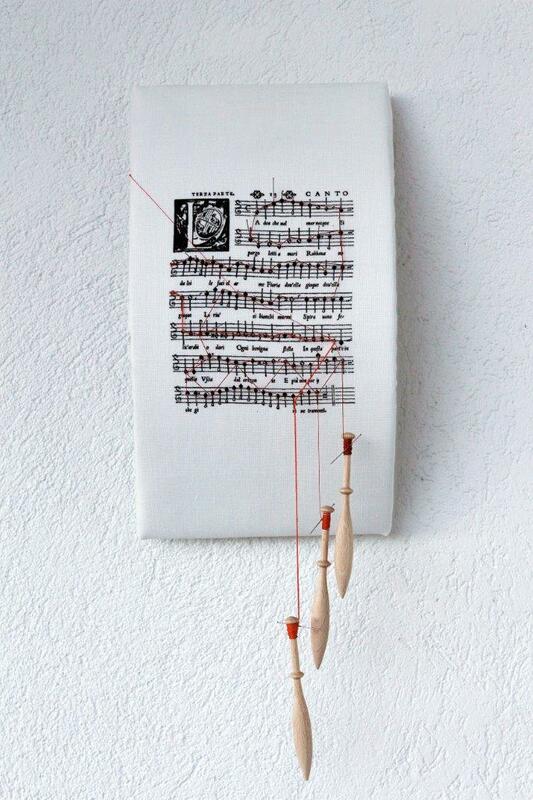 The artist died in Bergamo in 2014.